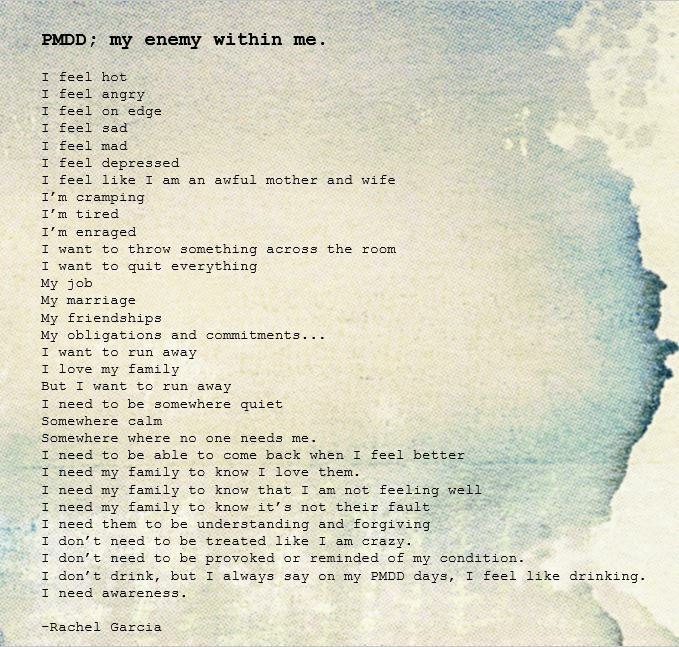 PMDD; my enemy within me. Somewhere where no one needs me. I need my family to know I love them. I don’t need to be treated like I am crazy. I don’t need to be provoked or reminded of my condition. I don’t drink, but I always say on my PMDD days, I feel like drinking.